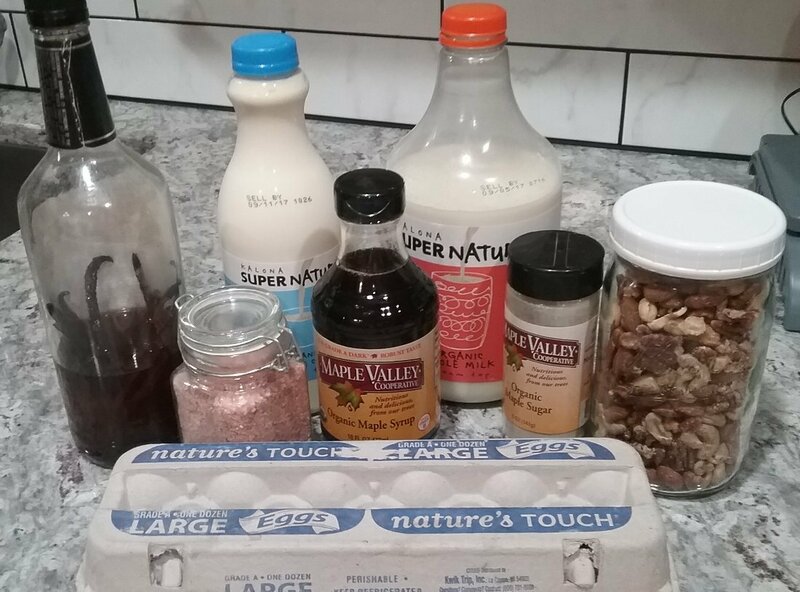 This episode of Recipe of the Week is led by our General Manager Renee. 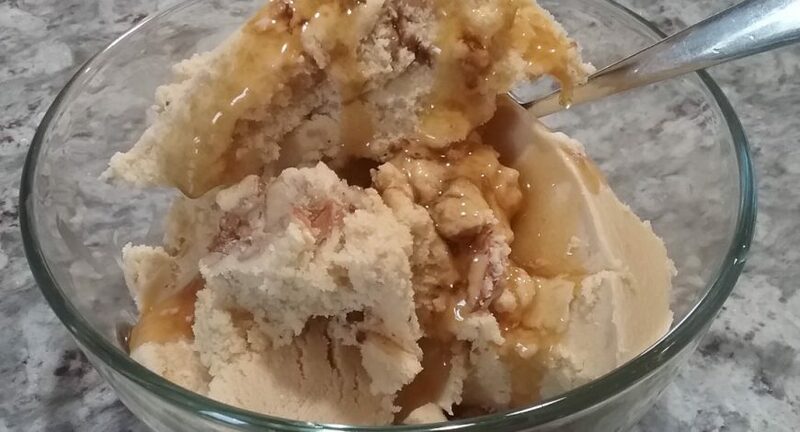 She and her daughter whipped up some homemade Maple Nut Ice Cream from scratch. The result was delicious and everyone at the office agrees – Renee is now the official Ice Cream Guru here at Maple Valley! Read on to find out how she earned the title! Though I got some ideas off the internet, I always improvise based on what I have in my kitchen. I usually eliminate lengthy processes (or ones that create extra dishes!). I used Kalona for the dairy because I like that they vat pasteurize their milk and cream. They don’t homogenize it, keeping it closer to what it was meant to be. I decided to make 2 quarts, because 1 quart would never be enough for my daughter, nieces, and nephews. I started by heating the milk with a couple tablespoons of maple sugar. While the milk was heating I separated the bright creamy egg yolks. My sister, who raises her own organic pastured chickens, donated them in exchange for some ice cream. My daughter happily whipped them up. Soon it was time to add the hot milk to temper them. I poured the hot milk in slowly while continuing to whip the yolks. 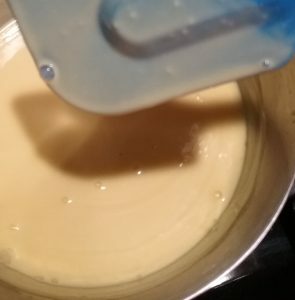 Then, I returned the mixture back into the pan over medium heat, stirring constantly until the mixture was thickened and coated the spatula. I removed it from the heat and added the heavy whipping cream, Maple Valley organic maple syrup, sea salt, & my own homemade vanilla. Next, I cooled the pan briefly in ice water. 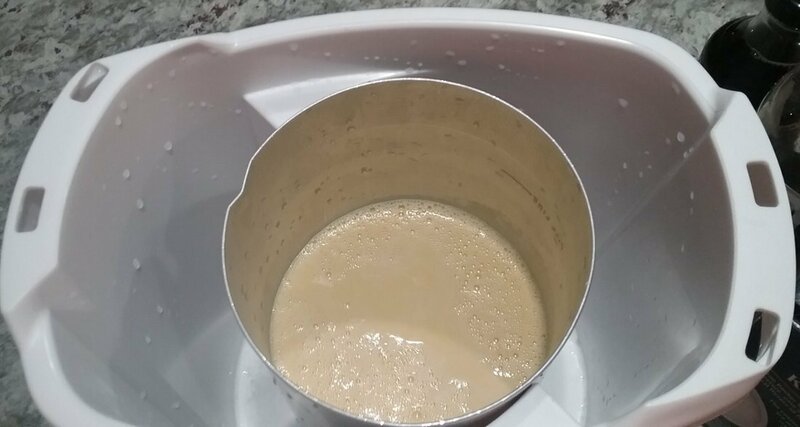 I then added the mixture to my ice cream maker. 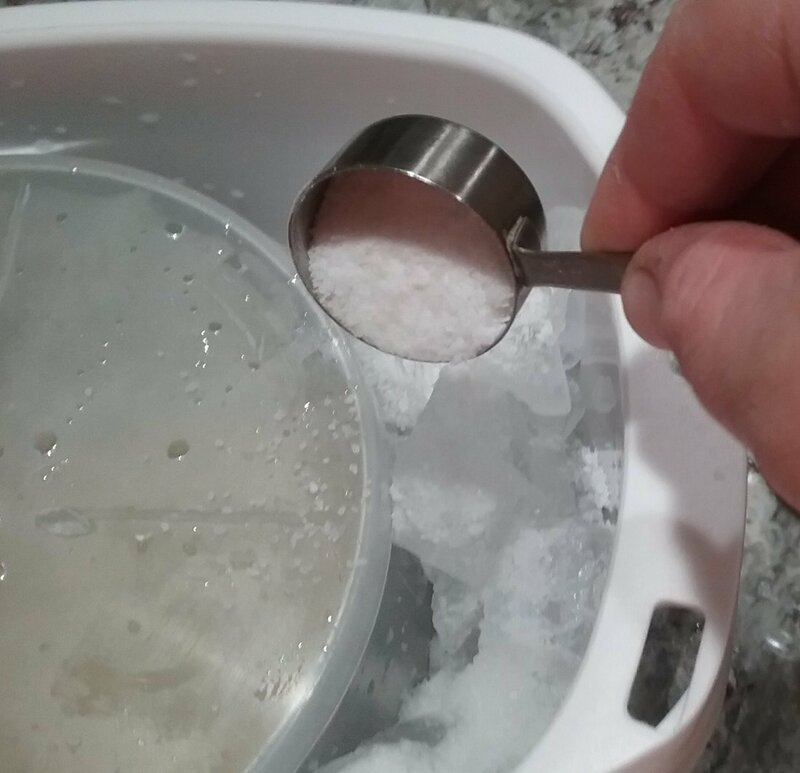 Ice and course salt were packed around the ice cream container and the machine turned on. I did forget to put the paddle in, which serves to stir and break up the ice crystals. Thankfully, I discovered my error before it really started freezing. I guess I need to make ice cream more often! 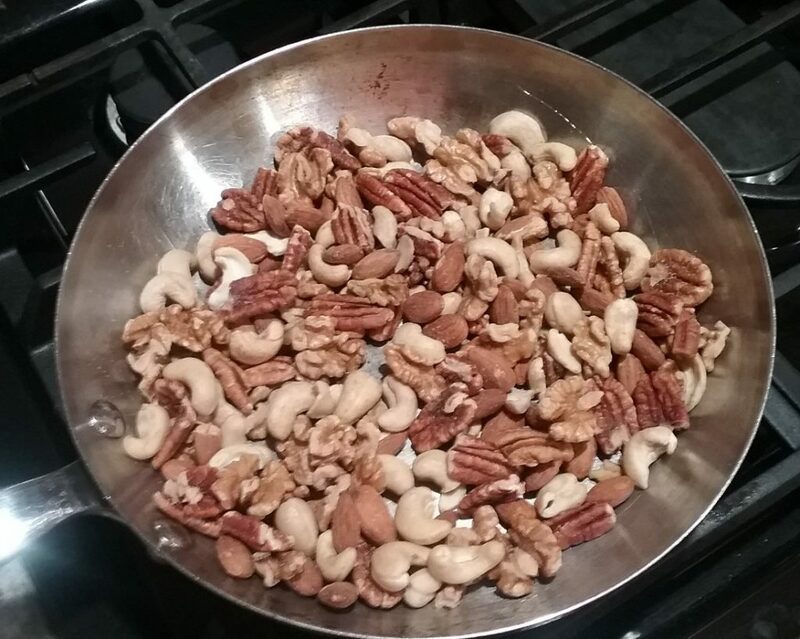 Meanwhile, I had some mixed sprouted mixed nuts that I threw in a pan over medium heat. I stirred constantly until they had a nice fragrant smell and were browning on the outside. I let them cool briefly, then chopped them coarsely with the Ulu I got while visiting one of my sisters in Alaska; a handy kitchen tool. After returning the empty nut roasting pan back to the stove over medium heat, I added Maple Valley organic maple syrup and let it come to a boil. 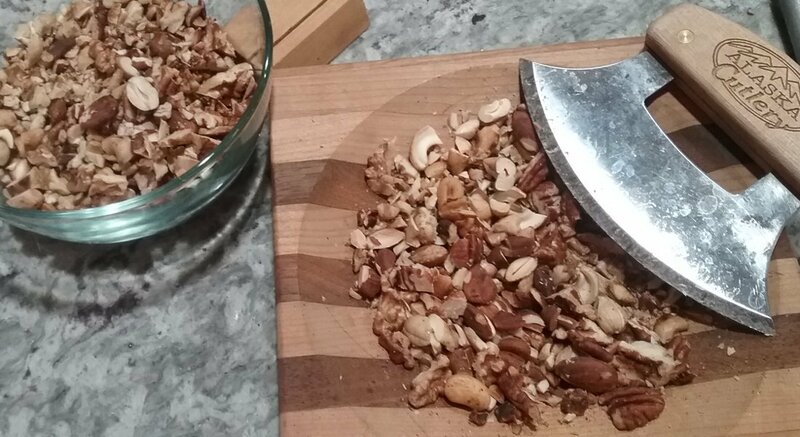 I threw in the chopped nuts & course sea salt and brought it back to a boil. It should have only boiled for 10 seconds, but, since I was taking pictures, it was probably a minute or so more. It didn’t burn but the nuts but they got a little too sticky. I cooled the pan in ice water and then put it in the freezer for a bit. 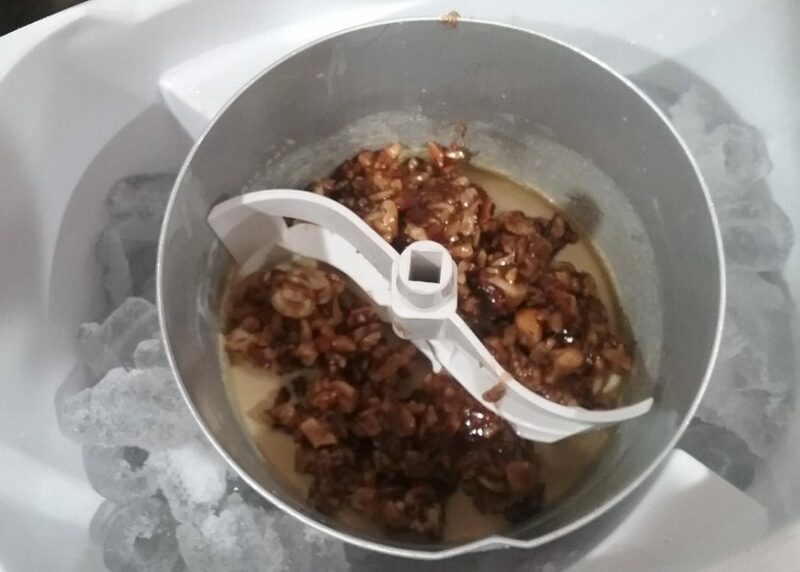 I didn’t want to add warm nuts to my chilling ice cream. Adding the sticky nuts to the partially frozen ice cream didn’t break them up like I hoped it would. I had to take them back out and break them up or it would have been one solid mass of sticky nuts in the middle. When it got to a complete soft serve consistency, I put the ice cream container in the freezer to finish chilling overnight. The next morning was the big taste test…. 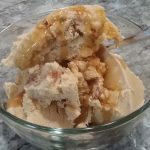 It was like creamy maple heaven with sticky toasted caramely salted maple nuts to balance it to perfection! Yum!! 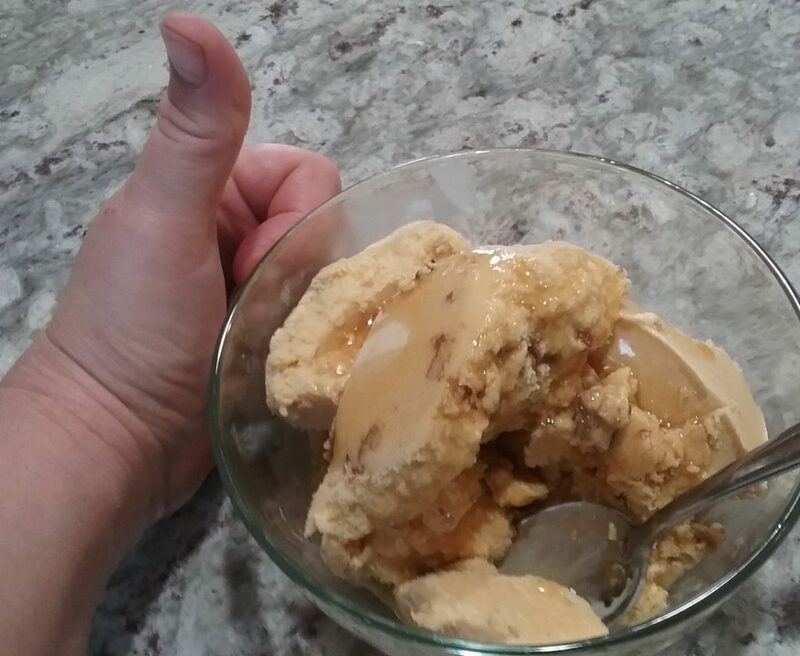 I will be using the base recipe to make all my homemade ice creams from now on! Warm milk & maple sugar in a saucepan, stirring occasionally. 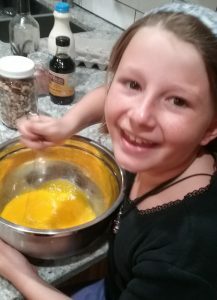 Meanwhile, whisk egg yolks in a large bowl. When milk & sugar are hot, slowly pour into the egg yolks, whisking the whole time. Add mixture back to pan & stir until it thickens & coats the spatula. Remove from heat & add 1.25 cups maple syrup, 1/2 tsp salt, & vanilla. Cool the pan in an ice water bath. Freeze according to your ice cream machine's directions. Toast nuts in a hot skillet, stirring constantly until they are starting to brown. Remove from skillet. Add 1 cup maple syrup to the hot skillet. Heat to boil. Add nuts & 1/2 tsp salt back to skillet. Return to boil for 10 seconds only. Remove from heat. Cool pan in an ice water bath. As ice cream reaches soft serve consistency, add nuts and turn machine back on to finish chilling. Finish setting up ice cream in a deep freeze. Enjoy!